You put your house on the market, but the estate agent is the one who actually sells it. Choosing the right agent is a critical decision – it can make the difference between getting a really good price, and not selling your house at all. But how do you tell the difference between good agents and bad ones? As the seller, you choose the estate agent, and the agent works for you. But the decision to accept an offer remains with you. As the seller, you are usually in a strong position with estate agents – unless they have properties to sell on their books, they won’t make any commission. You have to decide whether you are going for one, two or more agents. See Hiw many estate agents should I use ? 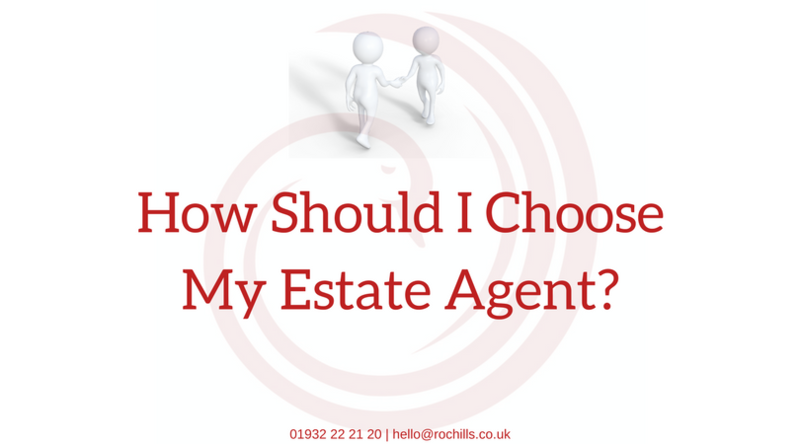 Clearly, if you are going for a multiple agency agreement, then you can just put your property on with any agent you like, and you don’t really have to chose between them. · Compare local estate agents based on the facts: how quickly they sell, how close they come to achieving asking price and how successful they are. Our free, impartial tool is constantly updated and gives instant results for the estate agents in your area – . · Make sure the agent has experience of selling property like yours – and the best way to do that is to check there are properties similar to yours in the window. There’s no point using Strutt & Parker, which sells large country houses, if you have a central Manchester flat. · Look at the properties that agent sells on Zoopla and Rightmove – are the pictures well taken, and the descriptions clear and relevant? · What is their viewing policy – check they will accompany potential buyers when you are out. Do they phone and send around potential buyers straight away? · What are their standard terms & conditions — what is their standard commission rate and typical tie in period before you can break the contract if you are unhappy with them? · How quickly do they sell homes on their books? What’s their track record with achieving asking price? How likely are they to sell a home? You can find estate agents in your local area and see instantly how they perform in these areas. · Do they have any estate agency or sales qualifications? · Are they members of a professional trade association, such as the National Association of Estate Agents, or the Guild of Professional Estate Agents? · Can more than one person in the office talk enthusiastically and with knowledge about your property? · What would they do if your property was not selling as well as expected? What do you think about their answer? Do your research on how to value your home. The agent will come armed with evidence of local sold prices to support their valuation. While you should take their advice, it is you and not the agent who decides what price to put the property on at. We’ve put together the best questions to ask the estate agent. Contact us for more information. A good place to start is with our free instant valuation tool. We do hope this has helped you plan on whether now is the ideal time for you to market your property. If you’d like to arrange a no obligation Valuation with one of us or would like further information, call us on 01932 22 21 20. Or join the Walton Property Community Group on Facebook or you can subscribe to our YouTube channel for free property advice, local property news and market updates.